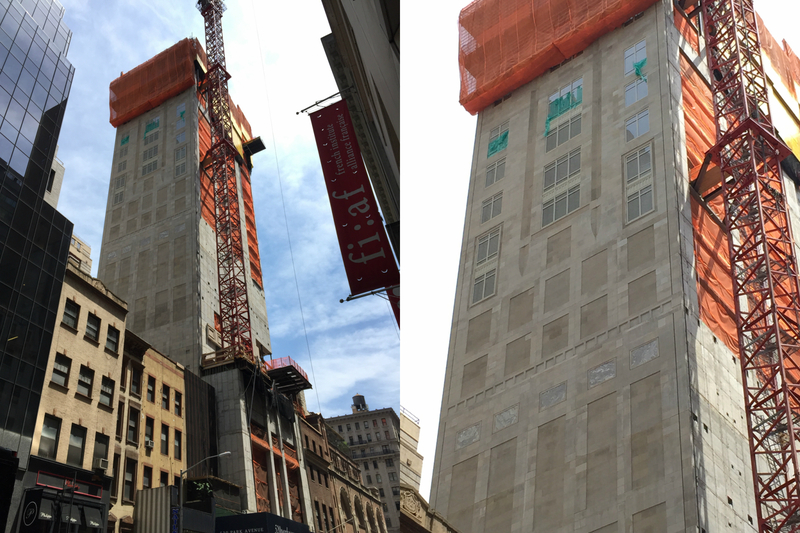 Last month, YIMBY brought you new renderings of the 54-story, 33-unit ultra-luxury residential tower under construction at 520 Park Avenue, located on East 60th Street in Lenox Hill. 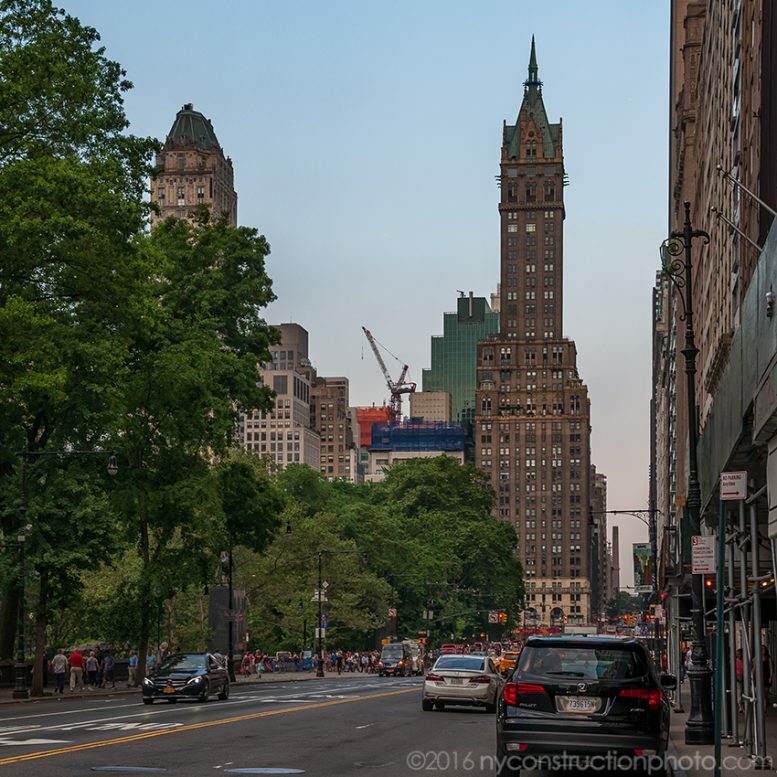 The building is now between 15 and 20 stories above street level, as seen in photos posted to the YIMBY Forums by Robert Walpole and ILNY, and can be seen for the first time from Central Park. Crews are also installing limestone to the structure’s western façade. The 781-foot-tall tower will encompass 251,892 square feet, and its condominium units should average an opulent 5,394 square feet apiece. The building’s amenities are all listed in our previous update. 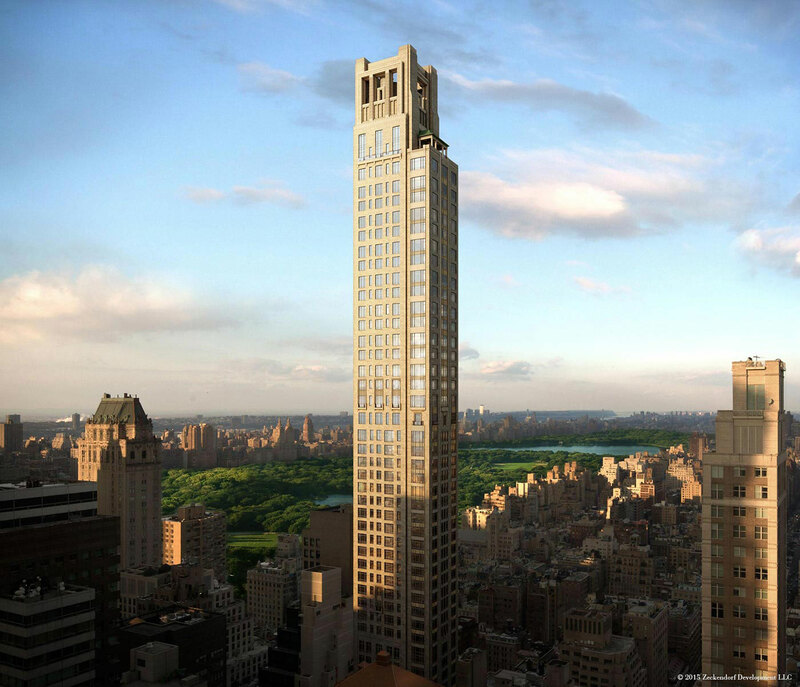 Zeckendorf Development is the developer and Robert A.M. Stern Architects is behind the design. SLCE Architects is serving as the architect of record. Completion is expected in 2017.